You’ll find 5 car hire providers located at Aberdeen Airport, close by on Upper Furburn Road. 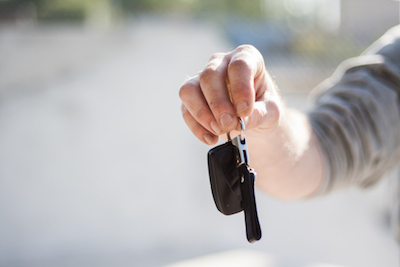 You can request car hire at the desk on the day you require it, however you’ll get a much better deal if you book online; providers tend to offer discounted rates for rentals made in advance, so take advantage of this! UK and European cover starting from just £39.99 aunnually from Insurance4carhire. Click here to find out more info on prices and availability. Be sure to use an online comparison site to find the best deal on your car hire from Aberdeen Airport. Car Hire Centre will help you find the cheapest quote for your destinations; simply use the widget to the left or visit their car hire at Aberdeen Airport page to get you started! The minimum age to hire a car varies depending on the provider, but you can almost guarantee that if you are under the age of 25, you may well be subject to pay a Young Drivers Surcharge. Drivers under 30 may also be restricted on the type of vehicle they are allowed to borrow too, so make sure you check all of these details with the provider you opt to use. For more information on minimum age requirements, please see the “more information” sections below for each provider. No matter where you are collecting your rental vehicle, the main driver must always have their full, valid drivers license on them, alongside another form of identification, such as a passport. You’ll also need to have a valid credit card too for the deposit to be held against. Your car hire policy will usually include Collision Damage Waiver (CDW) and Theft Waiver but do you know what that actually means? Quite simply, it means that you are covered if the vehicle gets stolen or damaged, but it is NOT insurance and it certainly won’t cover any excess you would need to pay. For this reason, it’s alway smart to purchase excess insurance; but be wary of the higher costs that can be incurred by purchasing directly with the provider. You can use it with all car hire providers and cover multiple additional drivers. Your baggage may be covered. See how much you could save by visiting Insurance4CarHire.com for more information and to get a quote. Avoid unfair charges for damage by doing a thorough check of the vehicle before you drive it away from the forecourt. Check for scratches, dents, burns, rust, cracks, tears and balding tyres and make sure the person signing the car over to you has noted these down on the paperwork. If you are collecting the car at night, make your you have a torch handy (on your phone or otherwise) and again, ask to have the fact that it was dark, noted down too. Car hire providers operating on airport land will usual add an Airport Surcharge into the rental cost to cover the fees they pay to the airport. Avoid this extra charge by opting for a provider who is off airport and offer a transfer service. Good news! All 4 Car Hire companies at Aberdeen Airport offer a range of additional extras, such as Sat Navs, disabled hand controls, child seats and an easy to use app. Below we have detailed some extra info on each to help you decide which company is best for you and your travel requirements. 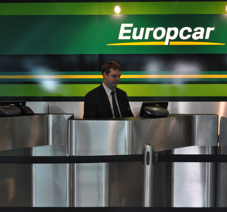 Europcar off one way rental from as little as £1! If you’re flying into Aberdeen but flying out from a different UK airport, check to see if you qualify. 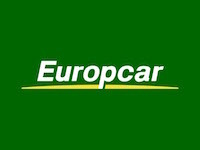 You’ll need to be at least 22 years old to hire a car with Europcar in the UK but please be aware that if you’re under 25, you’ll be subject to the Young Drivers Surcharge of £32.50 per day. Additional Driver fees start at £12 a day. 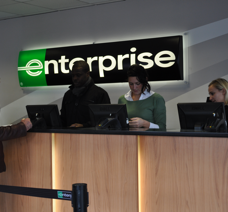 If you require any disabled adaptions, please contact Europcar directly on + 44 (0) 371 384 0295. 24 hour drop off is also available; please check the conditions of this at the time of booking. To hire a car with Avis in the UK, you need to be 23 years old. Drivers under 25 will need to pay the Young drivers Surcharge; this fee will vary on location and vehicle type, so be sure to check when you run a quote. One way hire from Aberdeen Airport is possible with Avis, as long as you are travelling to one of the pre-set locations stated on their site. 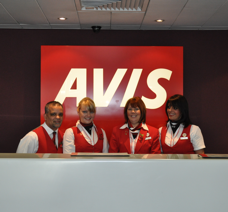 Contact Avis at least 48 hours in advance and they can adapt your hire car free of charge. Did you know that Hertz not only rent vehicles, but they sell them too?! You can hire a car with Hertz from the age of 23 but if you are under 25, you’ll need to pay the £33.60 per day Young Driver Surcharge. The cost of any additional drivers will vary depending on location; add this as an extra when you run a quote to obtain fee details. Hertz have teamed up with Adaptive Vehicle Hire to ensure you get the right transportation for your needs. Prices start from £45 a day, so please call the Adapted Vehicle team on 0870 840 0084 (Calls to this number will cost up to 13p per minute plus your phone company’s network access charge) for a quote or to book. One way hire is available for a £50 fee. Be sure to check at the time of quote that both of your locations are eligible. Call the team at least 48 hours before your rental on +44 (0)800 633 5665 to discuss fitting your car with hand controls, free of charge. You can also appoint a Surrogate Driver if you do not have license; there will be no additional charge for this driver, as long as they meet the minimum age requirements etc. This page was last updated in 2016. Whilst we endeavour to keep this information up to date, do contact us if you are aware of any errors.